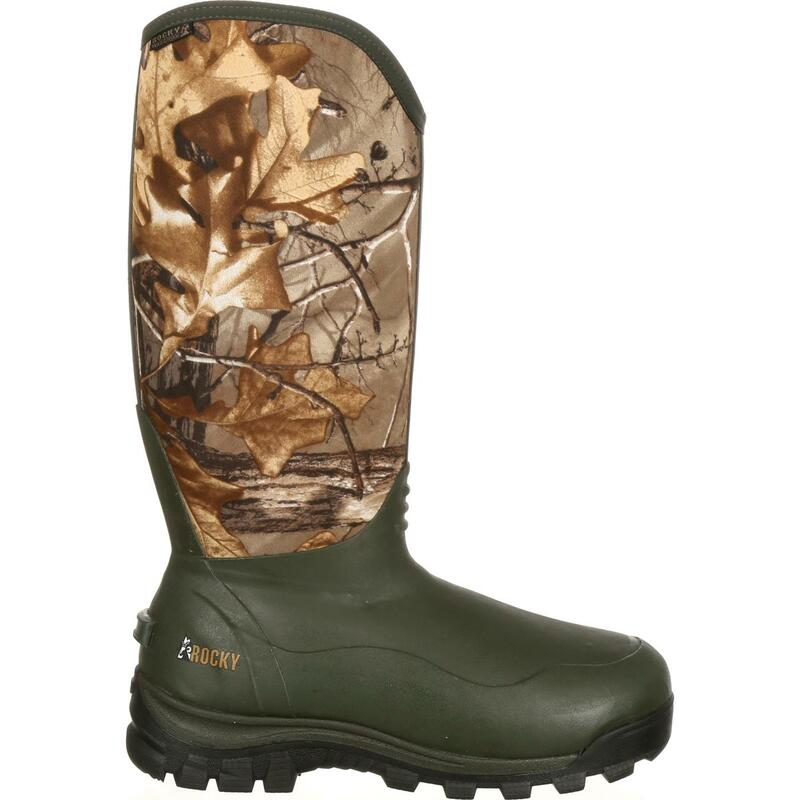 These Rocky® Core Waterproof outdoor boots are about versatile performance. 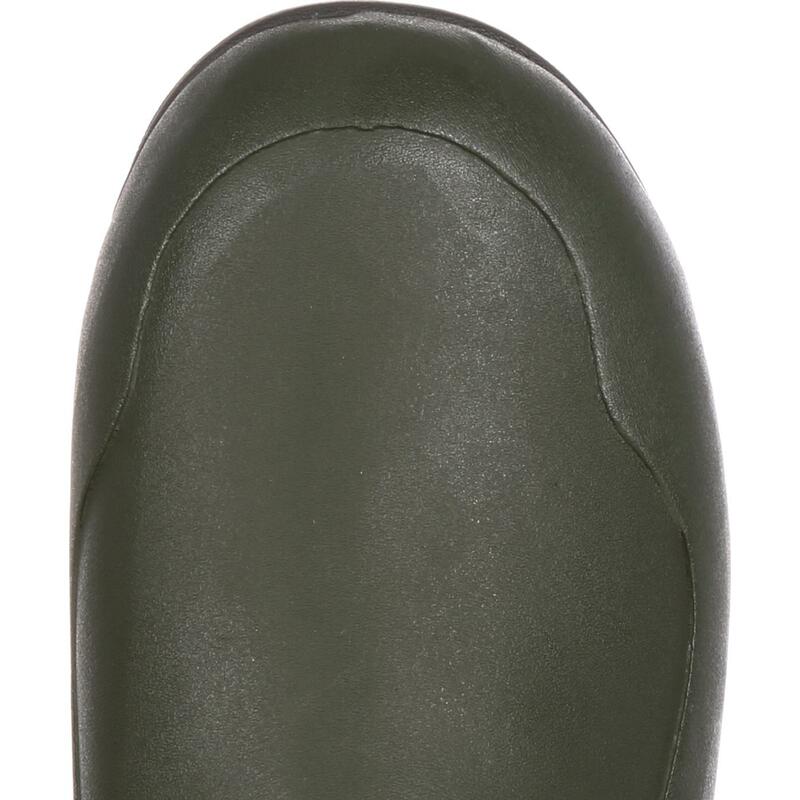 Part of the Rocky Core Series, it delivers comfort and performance for all situations. 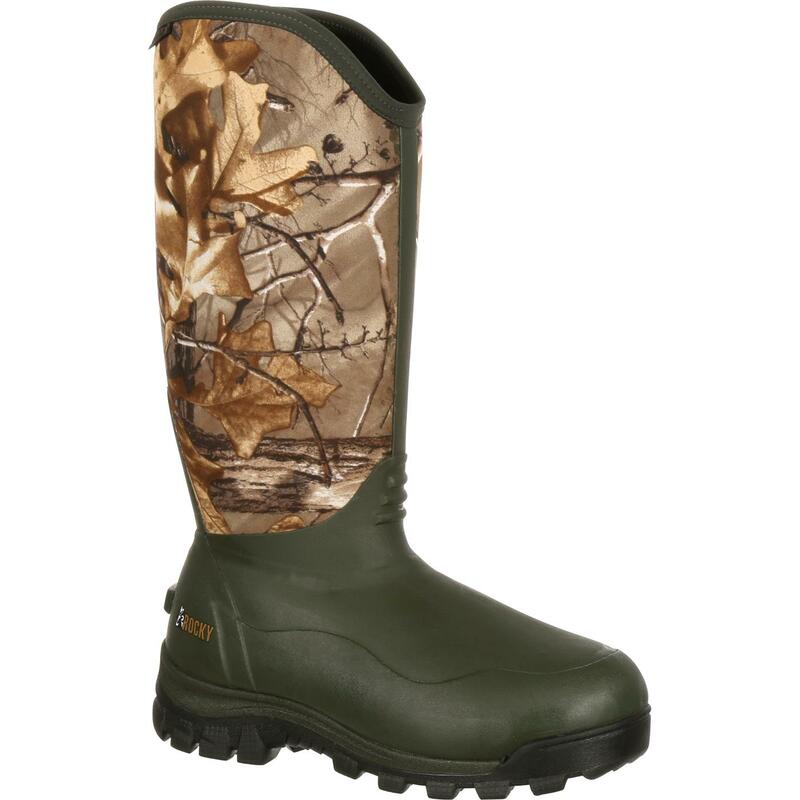 The rugged rubber lug outsole helps with traction on any terrain. 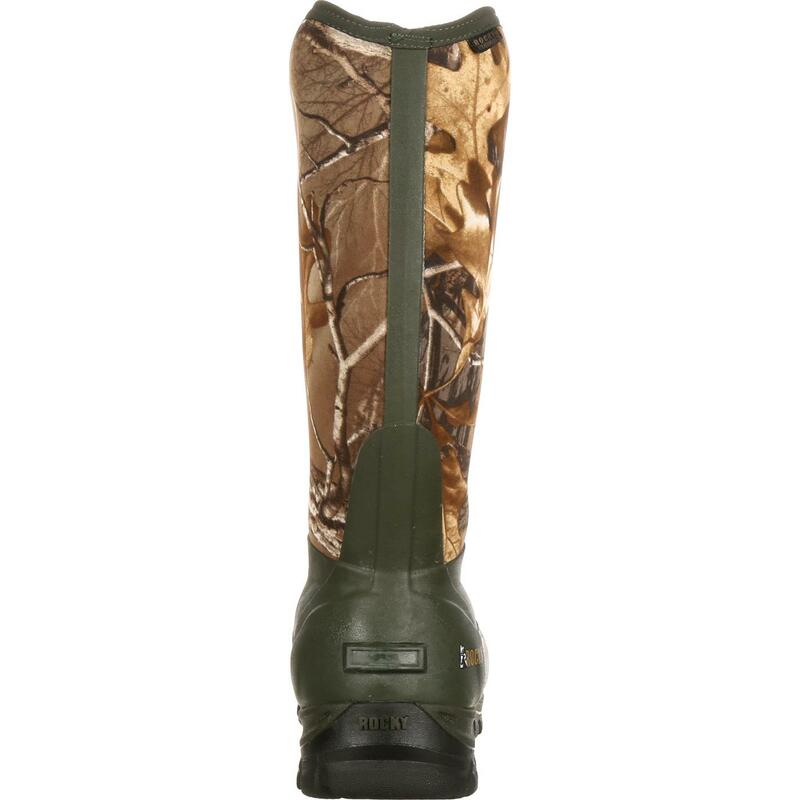 These pull-on boots are a mix of rubber and neoprene. 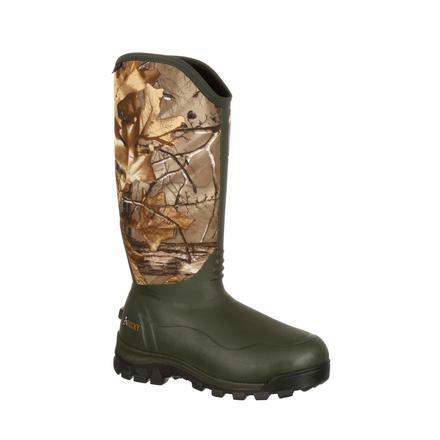 The high-abrasion rubber protects your boots from scuffs and scratches and helps keep water out. 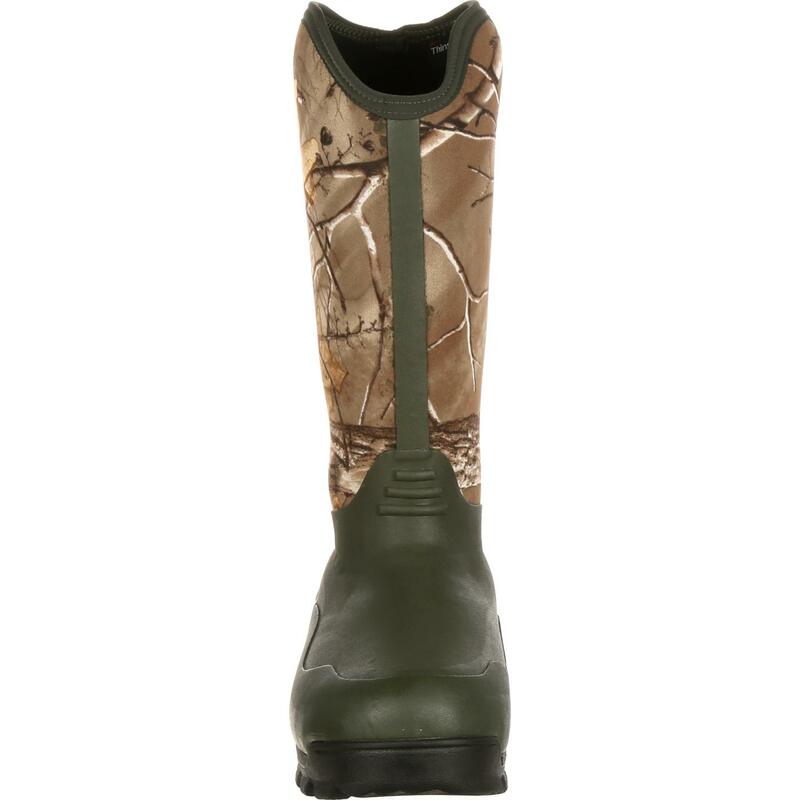 These camouflage boots are infused with 1,000 grams of 3M™ Thinsulate™ Ultra Insulation. That's sure to keep you warm! 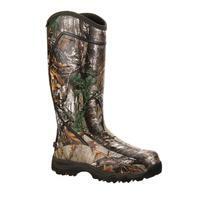 In addition to creating tough boots, Rocky wanted this footwear to be comfortable as well. 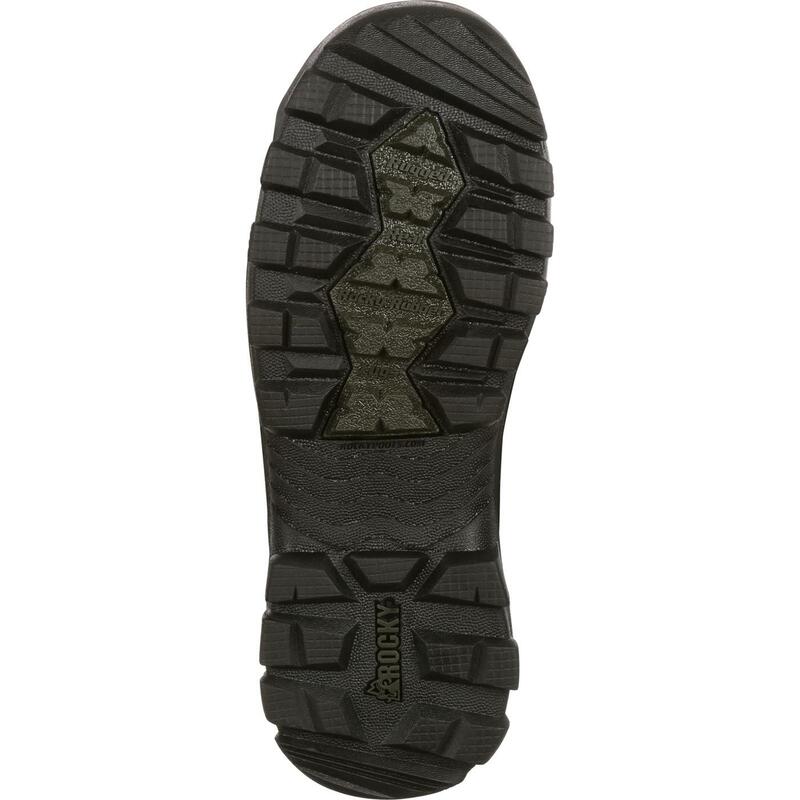 The aggressive rubber outsole provides traction that helps you grip the terrain and is comfortable to walk on. 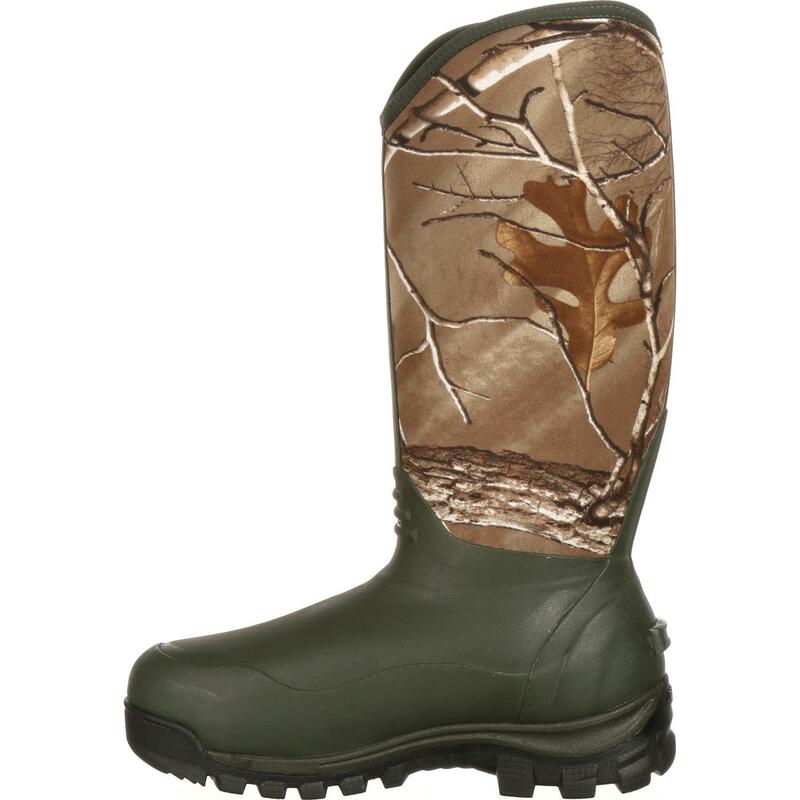 These are high-performance, brown and Realtree Xtra™ camo boots designed to be great hunting gear and perfect for muddy outdoor activities. If you want insulated camouflage boots, you need these Rocky Core Waterproof boots.